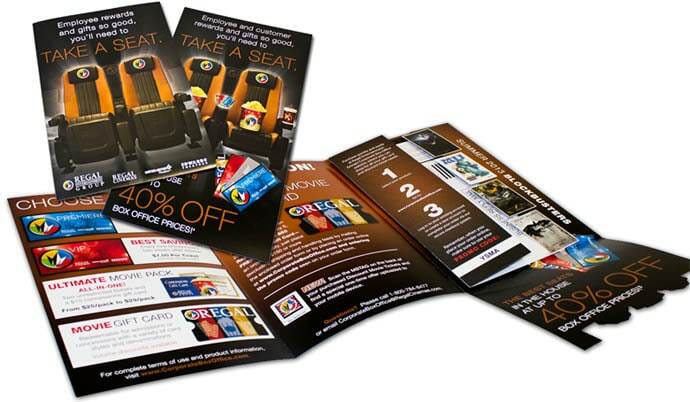 Better to utilize direct mail for audience profiling and segmentation in an integrated marketing approach. This approach allows Regal Entertainment Group to customize incentives to the individual to maximize customer acquisition and conversion. Twice a year, ResponsePoint develops a ticket sales campaign as a sales and employee incentive program targeting corporations across the United States. But this integrated campaign goes far beyond your traditional direct mail program. It also includes extensive database profiling, coordinated email communications, and thorough reporting on the behavior of each audience. This includes tracking their preferred method of purchasing, package preferences, incentive utilization, segment performance and the impact each variable has on the program ROI. It’s this ability to segment and profile the target audience, combined with the award winning creative that makes this program so successful year after year after year. As a result, campaign performance has shown an increase in total number of orders, average order size, conversion rates, and overall return-on-investment. For more information on how we can help you better utilize direct mail to improve your lead generation performance, give us a call 800.990.0725 or contact us online. Do Business Reply Cards Work?